Back in the 1990's, Top of the Pops was the Holy Grail for discovering new music, when the music-charts dominated the manner in which acolytes absorbed new sounds, images, trends, scenes, and movements. Spice Girls, Oasis, The Chemical Brothers, Jamiroquai, all attributed 'hitting the big time' to transmitting their music to the British general public at 19:30 on a Friday night. So, imagine the surprise (or sheer horror) at witnessing the combustible Keith Flint ferally raving and twitching in a tunnel when 'Firestarter' reached the summit of the charts. Giving arsonists a new-found sense of belonging, it duly petrified unsuspecting children and grannies alike, but also ensured that The Prodigy were inducted into the lofty heights of the 'household name' status. 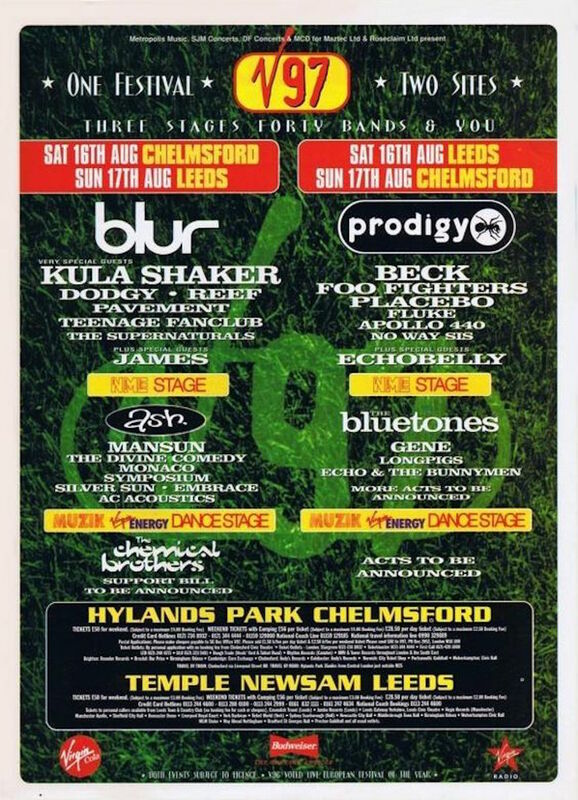 Fast-forward to 1997 then, two number-one singles later, and the Essex-boys found themselves headlining the final day of V Festival, on home turf no less. Smashing through 'Outer Space', the aforementioned 'Firestarter', and 'Breathe', Liam Howlett, Flint, and Maxim ignited Chelmsford, sending sweat-soaked ravers into a strobe-laden frenzy. Hammering dance and rave culture into the mainstream with two UK No.1 albums The Fat of the Land and Music for the Jilted Generation, this was the night that The Prodigy brought the rave home.